Known for its versatility and good looks, the NP5-A5 is a SWAT favorite and has been featured in lots of blockbuster movies like Die Hard. 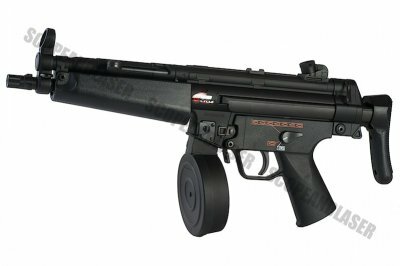 It is also frankly the best selling AEG in airsoft history and a staple in every collector's collection. Retractable stock makes usage very versatile. 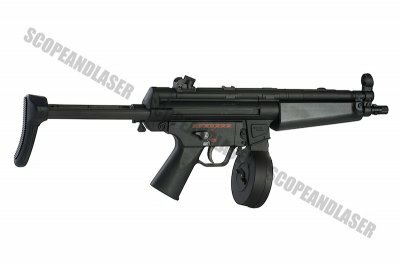 Metal parts include muzzle, magazine, bolt, trigger, firing selector, front and rear sights. Get the tactical fore grip with Surefire flashlight and you're ready for some real action! 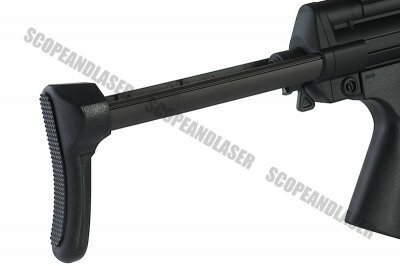 (see our flashlight section) Our NP5's are all equipped with the EG700 motor! For tactical use, we highly recommend getting a three-point sling (metal sling attachment points already on gun). 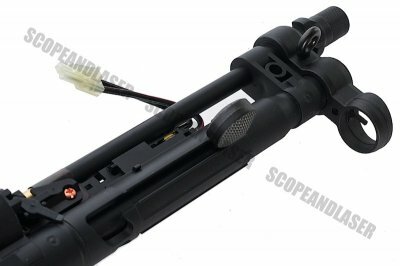 This new HG version already has a threaded barrel to take a 14mm CCW silencer. 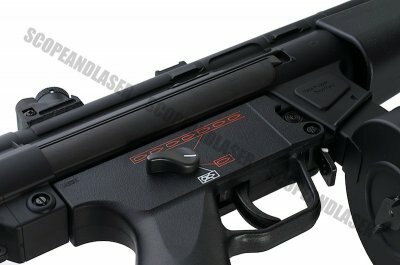 Read our review of this great gun in our reviews section.